British Prime Minister Theresa May lost two of her Cabinet ministers Thursday morning — crucially, Brexit Secretary Dominic Raab — as well as a host of junior ministers and could face more resignations by day's end after her proposed Brexit deal was met with backlash from members of her Conservative Party. 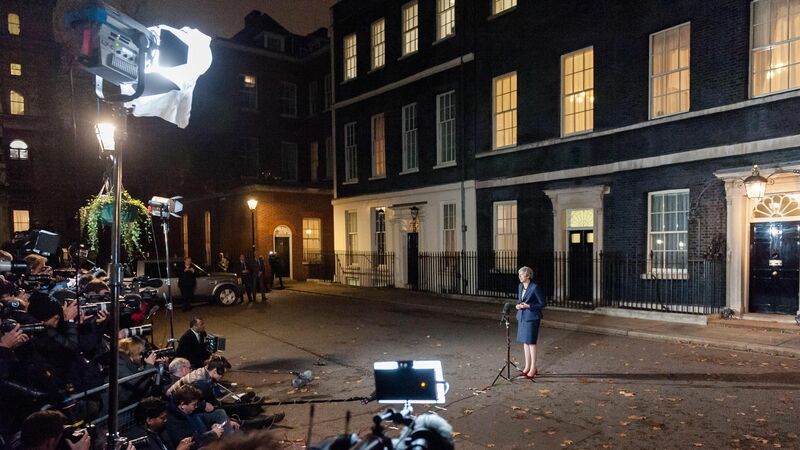 The state of play: May took questions for nearly three hours during a hostile back-and-forth in the House of Commons this morning, as members of Parliament demanded answers about her negotiated deal. But Jacob Rees-Mogg, the chair of the arch-Brexiteer European Research Group, submitted his letter of no confidence to force a vote on May's future as party leader, which would be triggered if 48 Conservative MPs submit such documents.